The winery, which opened in 2006, is one of the largest in La Rioja. It is located next to an ancient river bed and from it you enjoy views of the mountains in Rioja Alavesa. It combines tradition with modern architecture. Huge chimneys and steel covers resemble a vessel that dominates the landscape. A fir-wood baseboard embellishes the barrel cellar. The statue of a lady harvester carrying a basket of grapes on her head stands proudly at the entrance of the Pagos del Rey winery. This statue is a symbol of the long lasting wine making tradition in the region. 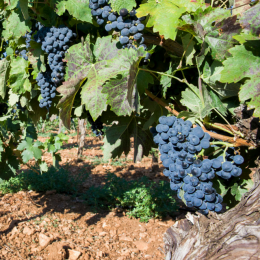 The Solís family is associated to more than 1,000 family-owned vine growers that cover around 3,500 hectares across La Rioja. Our expert oenologists combine tradition with modernity to create excellent red wines typical of Rioja. 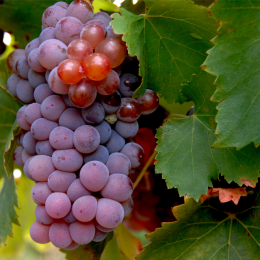 Our privileged position in Fuenmayor also allows us to reach different vineyards and take advantage of the different ripening cycles and grape varieties in the regions to elaborate our excellent wines. Our Pagos del Rey La Rioja winery was opened in 2006. Two bottling lines with a capacity of 13,000 units per hour. The barrel cellar contains more than 15,000 American and French oak barrels. Total storage capacity: 15,000,000 litres.